Kathy Ebner was born in Philadelphia, Pa. and was raised in Claymont, De. She attended Holy Rosary School and graduated from Padua Academy in Wilmington, De. 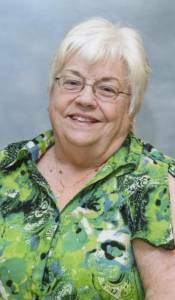 Kathy received her training as a Medical Technologist at St. Francis Hospital in Wilmington and worked in various hospitals for over 35 years. She and her husband Bill were married in 1968 and moved to Philadelphia where they raised their seven daughters. Kathy and Bill coordinated the Marriage Preparation Program at Queen of the Universe Parish in Levittown, Pa. They also taught Marriage Prep and Natural Family Planning for the Archdiocese of Philadelphia for over 20 years. In the 1980’s they began offering weekend retreats for teens and young adults which evolved into their whole family leading family retreats during the summers. For several years, Kathy also served as Vice-President of Lower Bucks Center for Church and Community, an interfaith group dedicated to serving the needs of the local community. In 2001, Kathy accepted the position as Diocesan Director of Youth and Young Adult Ministry in the Diocese of Camden, NJ. Kathy and Bill retired to Delaware in 2003 where they joined St Jude The Apostle Parish. Since becoming a member of St. Jude’s, Kathy has been active on several committees while completing a Master of Arts in Theology at St. Charles Borromeo Seminary and also a Certification in Spiritual Direction from the Jesuit Center in Wernersville, Pa. Since 2008, Kathy has offered spiritual direction to the faithful in our community and now serves as a pastoral associate.